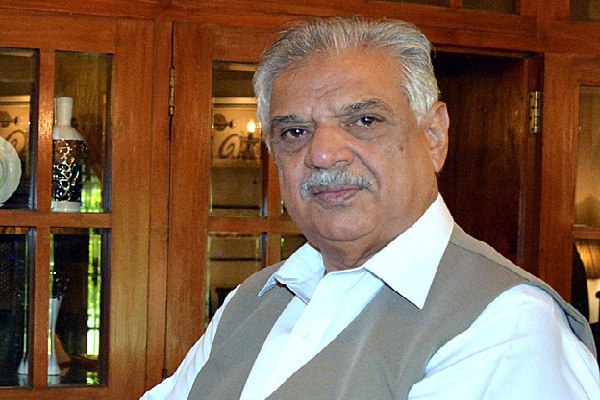 PESHAWAR, Sep 7 (APP): Taking stern notice of deteriorated educational activities of once vibrant Zam Public School Tank now known as Governor Model School (GMS) Tank, the Governor of Khyber Pakhtunkhwa Iqbal Zafar Jhagra has assured to bring drastic changes to improve the quality of education of the school in larger interest of the local tribes. Governor Iqbal Zaffar Jhagrra expressed these views in his meeting with a delegation of Mahsud Welfare Association (MWA) headed by Additional Inspector Gen. Police (Retd),Rehmat Khan Mehsud, at the governor house. Rehmat Khan Mahsud briefed the Governor on the worsened quality of education in the Governor Model School Tank. He told the Governor that the school was once a reputed educational institution by producing many professionals but for the last few years the outrage of militancy diverted the attention of Political Administration to properly maintain it. He said that the local administration collects heavy amount from local tribes on making domiciles, passports and other sources but the money is not spending to improve the school. It merits mention that the GMS is English medium institution located in the heart of Tank. It has both Girls and Boys Sections. He said that the school direly needs increase in the salaries of underpaid teaching staff, hiring of qualified teachers, furnishing of classrooms with minor repair and white wash. Similarly, water supply, internal electrification, rehabilitation of washrooms, improvement of sanitation and provision of chairs for the staff and chairs and desks for the female and male students be provided. The governor said that following militancy that plagued the entire FATA region, the government is taking multiple steps to improve the educational activities in tribal region in general and the South Waziristan in particular. The governor assured the delegation that educated people would be made part of the Board of Governor (BoG) of the school after consultation with MWA to better manage the school. The governor directed the Political Agent of South Waziristan Agency to provide him with a detailed report regarding performance of the school. MWA other office-bearers Ghani Gul Mehsud, Ayub Gul Mehsud and Dr. Noor Zaman Mehsud were also present in the meeting.